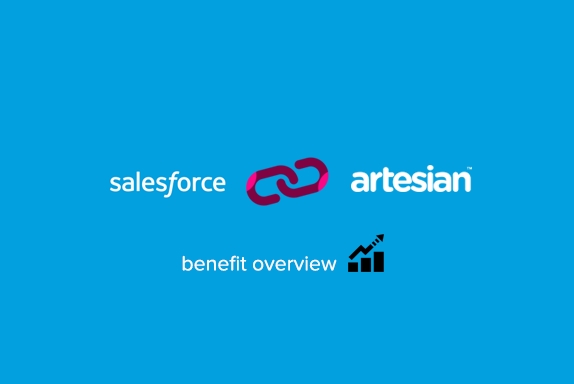 Download 'Artesian for Salesforce - Overview'. Profit from a 360° view of a prospect or customer's ecosystem with the new Artesian extension for Salesforce.com. Augment your opportunities in SFDC with real-time actionable insights such as management changes, mergers and acquisitions, financial results, growth and risk stories, and you instantly have the opportunity to maximise the value of your implementation. Artesian provides a consolidated view of pipeline opportunities by quarter, type and stage for each SFDC user with actionable insights and sales triggers to help you find new opportunities, keep your deals on track and forecast accurately. In short - Artesian helps you manage clients proactively, align to your customer's agenda, and build deeper relationships that give you a better ROI on your CRM investment. Click to read our implementation pack for current Artesian customers with a Salesforce licence.